Online Application Details for Shamrao Vithal Co-operative Bank Limited SVC Bank Recruitment of IT Specialists is given below. Selection for the post of IT Specialists for job openings in Shamrao Vithal Co-operative Bank Limited SVC Bank is based on Personal Interview. 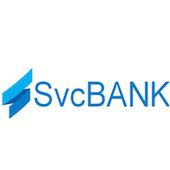 Application form and duly attested documents are to be sent to email to hrms@svcbank.com. In envelope super scribed with 'Application for the Post of Post Name'.